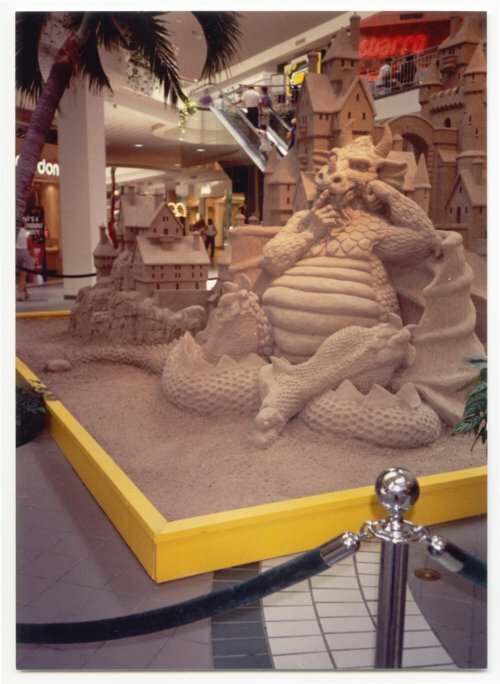 These are photographs showing Wizard of Oz and dragon sand sculptures created by Sand Sculptors International at West Ridge Mall in Topeka, Kansas. Fifty tons of sand was used to build the dragon sculpture and seventy tons to create the Wizard of OZ. The dragon sculpture was erected in 1991 and when it was demolished in 1992, the sand was used to make the Wizard of Oz.